Hoping to fall back on Plan B should his presidential aspirations fizzle, US Senator Rand Paul is seeking legislation that would allow him to run for reelection and for president simultaneously. According to the Washington Times, Paul (R-Ky.) has asked Kentucky Senate Majority Leader Damon Thayer to look into proposals that would ensure he can run for both offices at the same time. A law permitting Paul to run for two seats at the same time wouldn’t be completely out of the ordinary. As noted by the Times, politicians in multiple states have done so before, including current Vice President Joe Biden, who was a Democratic senator from Delaware before being elected alongside President Barack Obama. Still, there’s no guarantee such a proposal would actually pass with support from Democrats, who control the state House of Representatives. State House Speaker Greg Stumbo (D) has reportedly said he would not allow such a measure to pass. 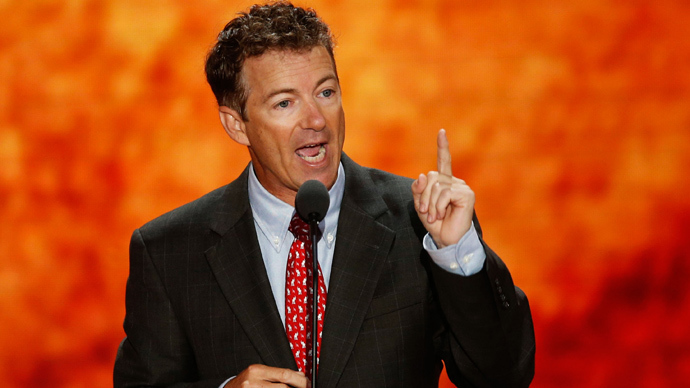 As for Paul, the first-term senator has made a name for himself since he first arrived on Capitol Hill as a Tea Party and libertarian favorite. A social and economic conservative, Paul as diverted from traditional Republican positions on defense and civil liberties, where he has criticized the use of drones overseas and the National Security Agency’s bulk surveillance program.